Hot air balloons are one of the craziest things that everyone should try at least once in a lifetime. How many balloons can you fly in a day? Hot Air Balloons contains a basket full of balloons that grace the beauty of the sky in a unique way. We are here with 10 facts that everyone should know about Hot Air Balloons. 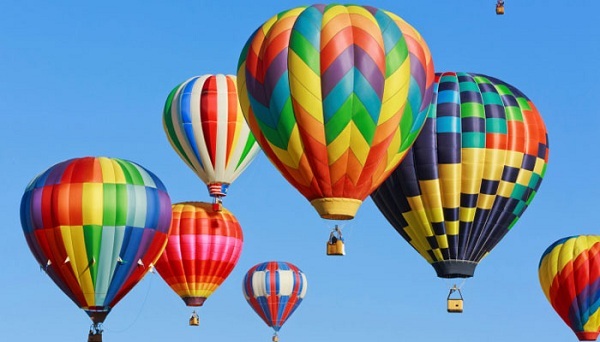 Hot air balloons were invested, unlike other balloons that fly in the air without any rules or restrictions and also you can use hot air balloons for advertisement. The best thing about these balloons that you might not know is that Hot Air balloons were discovered at a beautiful place called Annonay France. The two brothers behind the discovery of Hot Air Balloons were Jacques and Etienne Montgolfier. The first passenger that took a ride on Hot Air balloon was an animal, a sheep, a duck and a chicken. They took an 8-minute flight on the history-creating day of 19th September 1783. The brothers showcased that human life can exist and breathe even at the higher elevations level. The longest Hot Air balloon flight was taken by the Virgin Pacific Flyer which was driven by Per Lindstrand, a renowned pilot from Sweden and Richard Branson, a reputed pilot from the UK. The flight flew from Japan and headed to Northern Canada on 15th January 1991. Hot Air Balloon pilots need to get a commercial pilots wing license and qualifications like 35-hours of Instruction attendance, basic training of aviation, written test plus a flight test is taken by the officials from federal aviation dept. Hot Air balloon flight cannot take place in the rain. The heat coming from the balloon might heat up the rainwater and destroy the fabric of the Hot air balloon. Energizer Bunny Hot Hare Balloon is the largest Hot Air balloon with size 166 ft. tall and ft. size 98EEEE. Milli Karlstrom from the UK is the youngest female pilot who qualified for the hot air balloon pilot on her auspicious 17th birthday in the year 2010. Pinball is the instrument used by the pilots to check the exact location of the direction of the wind in which it is blowing. Balloon flights mostly have chase crew or ground crew to follow the flight. Hot Air Balloon flight tradition, champagne toast is raised to calm the onlookers when arriving at the landing site. Above are 10 facts about a Hot Air Balloon that everyone should know. Hopefully, you will find this information useful and go through these facts to gain more information about the Hot Air Balloon. These facts are quite hard to find at any other place, so this is the best page where you can upgrade your knowledge.